I'm a freelance writer living in Brisbane. I love bushwalking, kayaking, wildlife, history and travel. 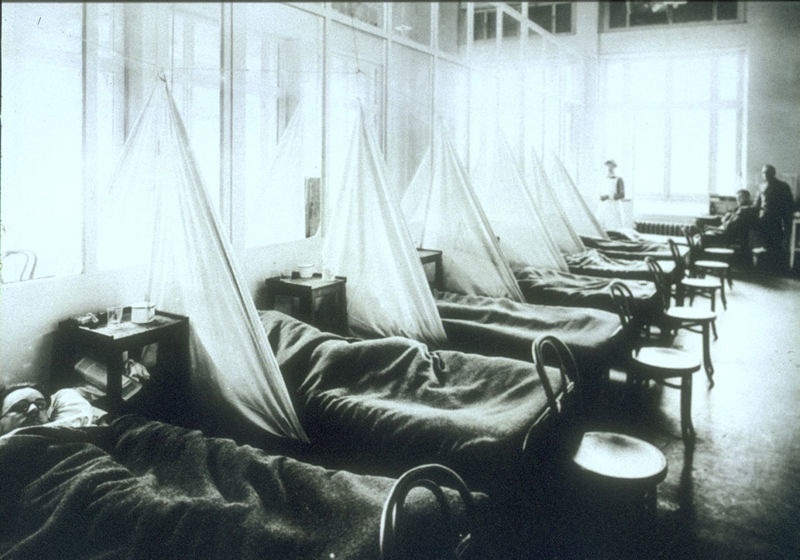 This year 2019 is the 100-year anniversary of the Spanish Flu pandemic in Australia and Queensland. The pandemic had been raging around the world since 1918. The flu was devastating because it occurred so soon after the 1914-18 war, which had already killed many healthy young men. The disease got its name because of the war. The first cases were registered in the US and the rest of Europe long before it reached Spain, but the news in those countries was censored because authorities didn't want the world to know many of their healthy young citizens were dying. Spain was a neutral country during the war with no censorship of news. King Alfonso X111 became the highest-profile patient when he became gravely ill, and this led people to mistakenly think Spain was the most affected country. Unlike most flu, which kills the weak, very young or very old, the Spanish flu killed young, healthy adults. The 1918 epidemic was caused by influenza A (H1N1) virus. The death rate was so high because the virus caused a "cytokine storm", a severe overreaction to the virus by healthy immune systems. Electron Micrograph Photo of recreated 1918 influenza virus particles (Photo Credit: Cynthia Goldsmith – Centres for Disease Control and Prevention, USA). Thirty-one Australian soldiers died from the flu on their way home from the war. They are buried in the Commonwealth War cemetery in Freetown, capital of Sierra Leone, Africa. They all died between October and November 1918. Some other soldiers and sailors were buried at sea. Entire wards of army hospitals were full of flu victims. In Australia, the flu began in Victoria, spread to New South Wales, then to Brisbane and the rest of the country. By the end of 1919 (when the population was just over five million), between 10,000 and 15,000 Australians, mostly young adults had died from the Spanish flu. Although the Queensland authorities attempted to halt the spread by closing the borders, the first cases appeared in Brisbane in May 1919. By June 30, 9700 cases had been reported in the Brisbane metropolitan area. Joe Clark caught the Spanish flu when he was 19 years old. At that time Joe was doing his apprenticeship as a blacksmith on the Townsville railways. In the early 1980s, when I met Joe, he still vividly remembered when the flu came to town. He told me, "It was winter and a cold one. The flu was raging all over the world according to the cables. We weren't concerned as it could peter out as fast as it came, but no, it silently had arrived and one man in the carriage shop went home and died three days later". Joe said there were about eight doctors in town at the time and two undertakers, Mr Heatley and Mr Smallwood. There was no refrigeration in the funeral houses, so according to Joe, if you died in the morning you were taken to the new Belgium Gardens cemetery and buried before nightfall. Nobody knew what caused the flu and people were very scared. Joe described how it affected people. "It wasn't long before we were all scared of the thing which we knew so little about. It came on fast and the two undertakers were busy all day long doing their job. I was still well but I had a sore throat, then a coaster called the SS Morialty landed here with two cases on board. Now, as you can imagine we were all very concerned about more disease coming to the town - so we all knocked off and marched down to the jetty to protest about it. On the way, we met Jack Macintosh, our ambulance chief complete with his mask driving the two flu cases to the TGH (Townsville General Hospital)". Joe said when the group saw the ambulance they got very angry, but when they got to the wharf they discovered the ship had been moved out and a small British Destroyer had moved into its place. Joe described the scene "the ship that had been at No 1 wharf was pushed out between there and the concrete wharf, and in her place was a small British Destroyer full of Pommie Blue Jackets with rifles – she must have come in with the coaster. We just stood there confused as we weren't red ragging – we were just plain scared. Then a clown named Crooksy Baker, a wharfie recited 'The Pommie's Farewell to Queensland'. We all just went home disgusted". Joe told me he got the flu that night. He said it was like having Dengue again. In the early days of the epidemic overseas some cases were misdiagnosed as dengue, cholera, or typhoid because the symptoms were so unusual and not like any other flu. In those days before antibiotics, many of the flu victims died from secondary bacterial infection. The huge death toll was caused by an extremely high infectious rate of up to 50% but the disease struck haphazardly. Joe was the only person in his house to catch it. Because it was winter and cold (even in Townsville) Joe said they used hot water bottles and bricks heated in the oven and wrapped in flannel to keep warm. He said the old people who caught the flu died fast. In his case he spent nine days in bed, "you didn't want food and you lost your tan and all your fat". Everyone wore facemasks covered with eucalyptus as a precaution. Joe's mother asked a chemist to mix quinine with industrial ammonia. She used to put four drops on sugar four times a day for Joe to eat. He said it was awful. He said there were many strange home remedies and a lot of quackery. "We all had our supplies of Woods Great Peppermint Cure for coughs and colds' a painkiller which was loaded with opium". Joe said you drank it or rubbed it on and it worked. "We had Faulding's Chlorodyne- three drops in a cup of water for colic. It was loaded with something, and then we had wonder wool. It was a roll of cotton wool, coloured pink, and smelling strongly of wintergreen and Chlorodyne. It was made in Australia to a foreign formula. You just stuck it on a sore head, belly, leg or hand and the pain disappeared immediately. We used to put a piece of it in our pillow slip and you slept well without mosquitoes – you were still tired in the morning". One of the main home remedies according to Joe was Antiphlogistine, which was a clay coloured white solution, which smelled like Wintergreen. It used to be in a tin, which was boiled in a pot then opened and spread with a spoon on two pieces of calico. This mixture was put on the chest and back of the patient while it (the goo) was hot, then the patient was put back in bed. During the night the clay hardened into a soft brick the shape of the patient's anatomy and then it had to be removed. Joe said "it was easy if the patient was dead, then at least you sent him on his way smelling like mint leaves and chewing gum, the live ones were a different proposition – especially the hairy chested ones who complained loud and long as you pulled this clay embedded with hair off his chest". Joe told me one of the local doctors, Doctor Chapman used to go around chewing camphor, which was sold in cubes to keep silverfish away. He said because nobody knew how the disease got here the doctors told people to burn all their rubbish to kill flies. In Townsville, if anyone wanted a nurse in the house they printed their request on a card and hung it on the front door, according to Joe. The pubs, churches and graveyard were very busy in Townsville during the flu epidemic. The pubs sold a lot of rum, and the churches were crowded. Joe said, "The churches were filled to overflowing on Sundays with a very strong smell of naphthalene on the men's clothes. The Hermit Park and West End buses put on extra buses to the cemetery to accommodate the folks with pickle bottles and flowers to do up the graves of their loved ones. The cemetery staff had to be enlarged to accommodate the number of burials." Joe said the epidemic lasted for about three months in Townsville and killed about 1000 people. The Cairns Post reported on the Queensland Flu Bill on August 22, 1919. It stated: "Mr Huxham, replying to question from Mr Sizer in Assembly today, stated that cases of Spanish influenza or a similar disease were first notified in Queensland on May 3rd, 1919. The total expenditure to date in connection with the epidemic was 75,467 pounds." People got back on with their lives and gradually the Spanish flu faded from public awareness. : Historians have even called it "the forgotten pandemic". There are various theories on why the Spanish flu was "forgotten". The rapid pace of the pandemic, which killed most of its victims in the United States, within a period of less than nine months, resulted in limited media coverage. In some areas, the flu was not reported on and the only mention was advertisements for medicines claiming to cure it. The media at the time was more concerned with deaths from the First World War. Because the majority of deaths, from both the war and the epidemic, were among young adults, the deaths caused by the flu may have been overlooked due to the large numbers of deaths of young men in the war or as a result of injuries. When people read the obituaries, they saw the war or post-war deaths and the deaths from the influenza side by side. Particularly in Europe, where the war's toll was extremely high, the flu may not have had a great, separate, psychological impact, or may have seemed a mere "extension" of the war's tragedies. Research work has been undertaken to isolate the Spanish flu organism. The efforts to recreate the 1918 flu strain (a subtype of avian strain H1N1) was a collaboration among the Armed Forces Institute of Pathology, Southeast Poultry Research Laboratory and Mount Sinai School of Medicine in New York City. 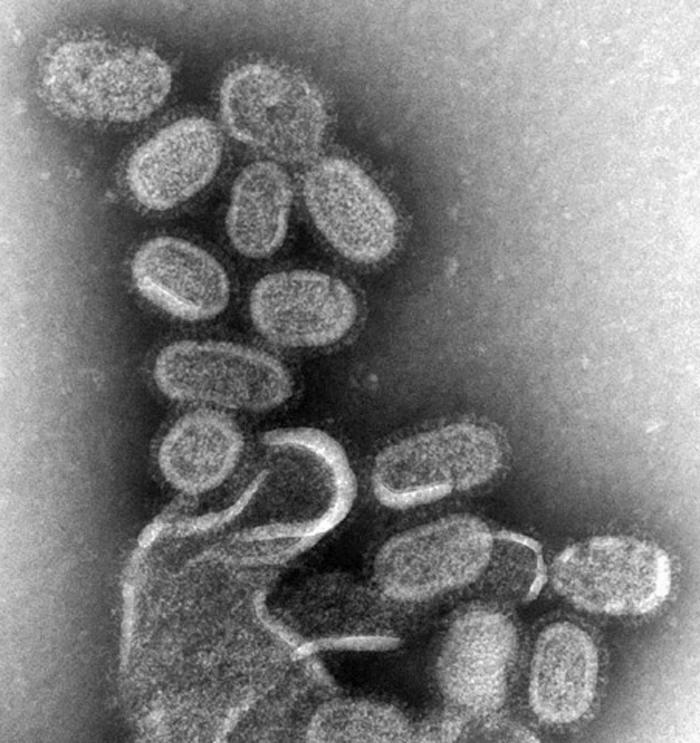 On October 5, 2005, the group announced they had successfully determined the virus's genetic sequence, using historic tissue samples recovered by pathologist Johan Hultin from a female flu victim buried in the Alaskan permafrost and from samples preserved from American soldiers. During the 1918-19 pandemic, doctors did not have vaccines, antivirals, or antibiotics to treat or prevent infections and associated complications. There are now antibiotics, influenza vaccines and antiviral drugs. The arrival of bird flu and swine flu over recent years had made people remember it. Joe died in Townsville in 1986. He was a well-known character and had many interesting stories about early days in the town. He was born in 1900 in England and came to Townsville as a twelve-year-old boy. 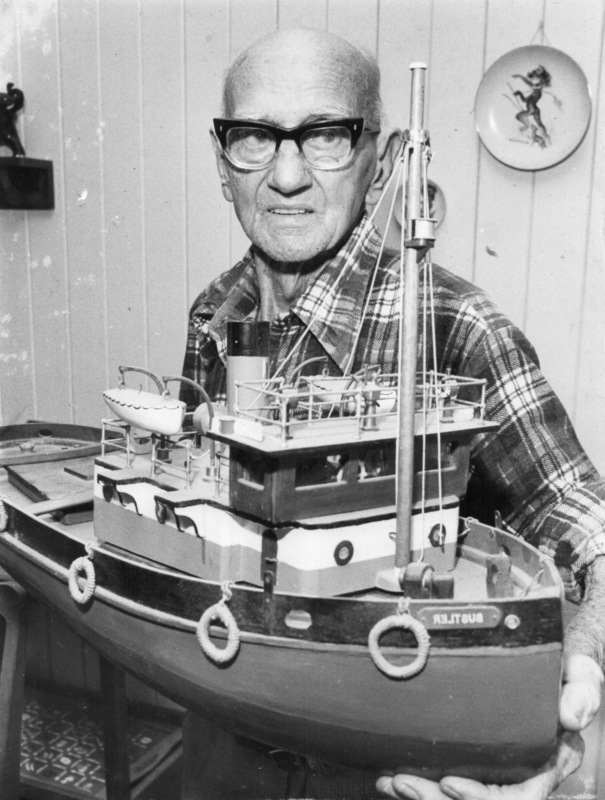 He worked in Vaudeville theatre as a boy, and in later life built magnificent model ships, which would be collector items today. He led a very interesting and long life, but he never forgot when the Spanish flu came to town. Disclaimer from the author: The information in this article is historic and the old cures mentioned should not be used. Anyone who gets sick with the flu should follow current medical and public health advice. Really interesting article Roz ! Well done!